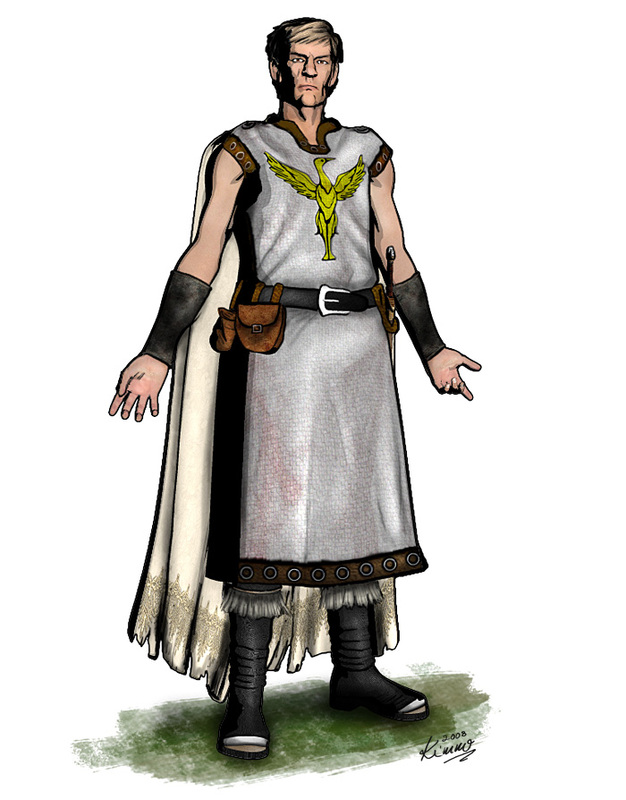 Benjamin of Jodhe is a travelling cleric of Aldamar (the wise and benevolent deity of righteousness, common sense and justice). Benjamin is always on the move; rarely staying more than a week in one spot unless particularly needed. He owns nothing but the items he carries with him and he eats and drinks what people with kind hearts offer him.Benjamin is a thoughtful man, careful in the use of his voice and humble in his manner. His wisdom is a combination of experience, emotionally detached logic and applied common sense that are all based on the knowledge of the law of the lands and on the perception of right and wrong.